A special treat in this week's report, Alabama's own Bassmaster angler of the year, Gerald Swindle talks bass fishing! The lower/middle delta is still on fire with the transitional feed still going strong. Everything is fattening up for colder days ahead; specks, redfish, bass, and bream. The tensaw/blakeley area has been producing specks, drift fishing in around 10-15ft of water. 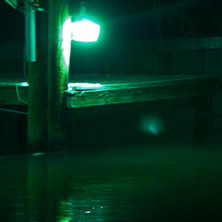 Also night fishing around the dock lights in Fowl River and Dog River is steady producing Speckled Trout. Any kind of shad pattern (paddle-tail grubs or fluke-like plastic) on a 1/8oz or 1/4oz jig head will work pulled through those dock lights. Mirrodine lures work as well on those lights, with just a steady straight retrieve.